I added a direct link on my blog. It’s to the GRO Girl Riders Organization event calendar. I just attended their San Diego event in Ocean Beach on Sunday 2/22 and I’m hoping to take a road trip to LA this coming weekend. The San Diego girls I met were rad – we exchanged e-mails and are going to meet up the 4th Sunday of each month – check the link for details – for sure March 22nd 10-noon in Ocean Beach. I’m not saying girls have to skate with girls or even that skating with girls is better than skating with boys. 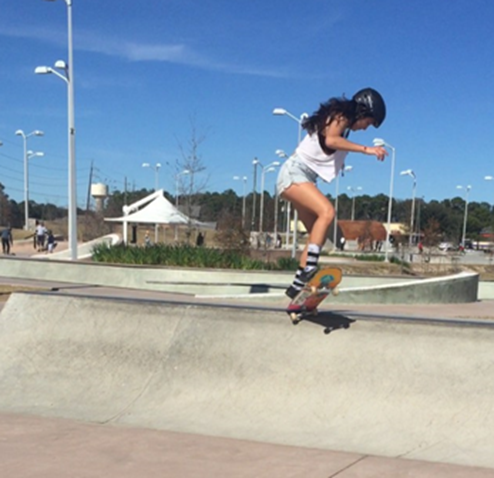 I’m saying I’d like to see more girls skateboarding. And I think that goal is achieved best by girls seeing girls skate and everyone encouraging girls to skate. I found it inspirational as did other girls who went. Above Melissa aka peacknots shares about getting over mental blocks and I’ve seen e-mails from girls who left park encouraged to practice tricks like transition to 50-50 and rock to fakies and tail slides. One girl is strong together we are stronger! See you at the park and for me keep it fashionable! After admiring how beautiful the deck is – I realized it was done by hand with a sharpie by Keira. Let the WOW factor sink in. 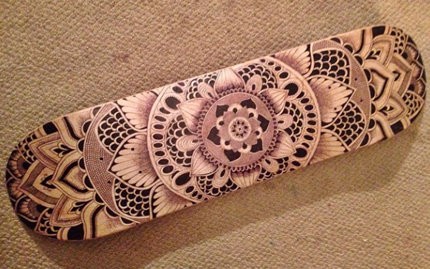 I love mandalas as tats, on clothes, and now this gorgeous deck. This beauty just has to be shared! Skateboarding is sport & art. While a skate deck is required, the art on it is up to the individual. I love when people show their personality and talents on their decks. To view more of Keira’s art check out artbykeira! Greg, don’t be mad but all skate spots would be better without you & your deep thinking. Keep those scientific thoughts at home! It’s true you attract what you put out and look for. 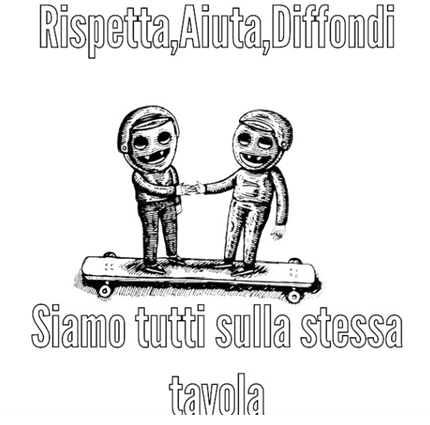 When I was afraid to skate – I didn’t skate and I saw only haters who scared me. 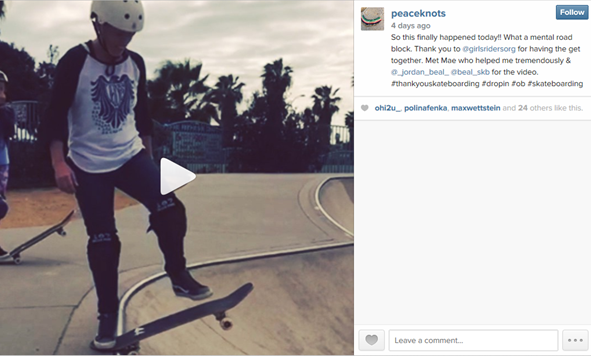 Since starting this blog I seek out people like Mary Jo and I find I want to skate more each day. 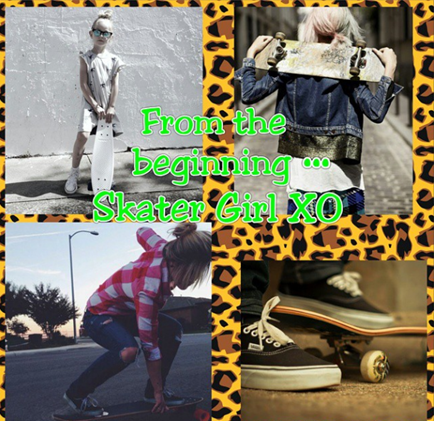 I’ve said skateboarding is sport & art and gnarly_x_carly is a sporty and artsy girl. You just have to check out her IG. There’s no right or wrong way to skate or do art– ok maybe mongo is sort of wrong. Go out there and celebrate your creativity. Check out Frankensteinsplayhouse to see creative jewelry, accessories, and a skateboarding family. The collage is of mom. Soon you’ll see pictures of her daughter who’s learning from mom & dad! Oh don’t forget brother – skateboarding is family business – he’s shredding it too! Just love this story of a mom who’s been skating since she was a kid and now shares skateboarding with her children. 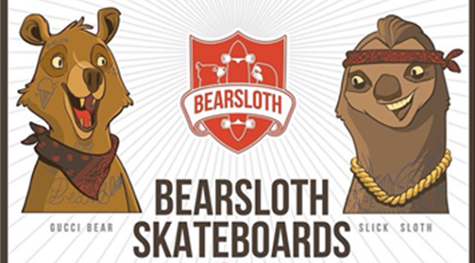 It is my pleasure to introduce two of the most artistic bros I’ve ever met – Gucci Bear and Slick Sloth. They are no longer starving artists, they have their own business. Now that’s living the dream! Gucci and Slick support 100% of skaters – love those who support girls & loving Slick’s bling & Gucci’s ice cream tat. 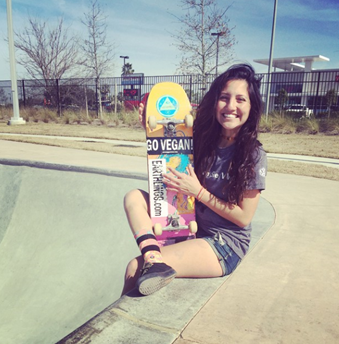 The world truly is a better place when there’s more love – so keep the love for girl skateboarders flowing! I love Palm Beach Longboards Instagram. They totally support girls and feature riders just starting out to the super rad. There was a time before cell phones, a time before the web, and a time before girls skateboarded. That time is the PAST. I live in the present where stylish shredders exist! In skating and fashion – I wanna have FUN! 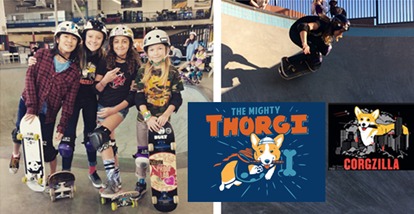 Love skating with my girls & love Snorg Tees. They make the radest pop-culture inspired, random, and all around funniest t-shirts. Some tees are inspired by their customers. I’m wearing Corgzilla & he’s just one of so many – his bro is Thorgi! I love all of the art by la_scimmia_nero_asfalto . When I saw these little people, I just had to know what are they saying. I want this on a t-shirt and stickers – who’s gonna help me get that done? And yes I will ask for one of them to turn up the fashion dial – they’re cute but one of them wearing a skirt – oh la la !